Club Penguin Cheats by Mimo777 Club Penguin Cheats by Mimo777: Club Penguin Daring Rescue Reviewed By You! "I would get a group of pioneering penguins and together we would make a quest for the missing puffles. We would dress up as safely as we could wearing a helmet and safety jacket then get our super long powered torches and set of into the pitch black caves and hopefully rescue all the puffles and be known as heroes! After that we would relax at the coffee shop!" Since the Penguin Play Awards start this Thursday, Club Penguin wants to hear how you will be celebrating the event with your buddies. 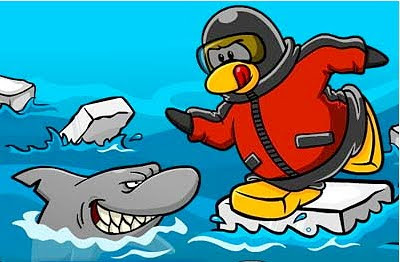 If your Reviewed By You is chosen, your penguin will receive 10,000 coins! Congrats, Violet5550! If you don't want to write a Reviewed By You, let us know what you are doing to prepare for the Penguin Play Awards, k? Aw man, I really wanted to see you there and make you my buddy, Hnwjanuary11. Try to make it please. The party will last until 5:00 EST (That's my timezone too). Please try to make it. It will be really fun. I'll be out of school by then in time to open up my igloo. Some of my friends will be there. too. I 'd really like to make you my buddy, Hnwjanuary11. I might be able to come i live in EDT So your living in Vancouver? Did you see the Olympics? haha any way i might see you so BYE! I think I can come! But Mimo cant post this, sorry. I'll be there. Awww man one of my puffles ran away. At least i still have 17 more. And i am so gonna get dressed and act in the awards with my friends it was awesome last year. Can't wait to meet aunt arctic and cadence the only two people who i havn't met yet. Sorry, moomo1234, I don't live in Vancouver. I live in the USA. I watched some of the Olympics, but it was on TV. Hello Mimo Im a fan of your blog, Anyway havent you wondered about St Patricks day ... And club penguin havent shown any signs about it. What do you think??? You know I totally am wondering the same thing! NOTHING in the newspaper and the big day is TOMORROW! It is very strange... maybe a surprise party! Cool! I will try to make it.. we wil see though!!! Don't get discouraged! Millions of people probably have written a Reviewed by You! I have tried, and they don't even post it as a comment! I cannot wait! I have had like all of my puffles run away! This is the longest lasting Juanita I have had! I still need to meet Cadence and Aunt Arctic too! Hey mimo the orange puffle still isn't in the puffle round up(hope i get credit)and remember when clubpenguin had that poll for that kind of drill and the tree one won? well i think we will be using one soon because i saw drills in the cave peace out and waddle on! I think I might be able to come... But I don't know. I'll try! You know, this new Puffle Rescue game really has a classic feel to it. It reminds me of when I first joined Club Penguin. Hey! to celeberate my 2 year anniversary of Club Penguin, I should have a party during spring break! (Mar 27- Apr 4) All are invited! I'd go but i'll be at school. Hopefully it's great and lots of people come! I'll dress up and vote and meet famous penguins. See ya there! Um.m.. of course it is? Slidoo.. don't use caps! You are hurting my ears!! Hey! How are you? Im pretty sure Club Penguin wants to suprise us! The new furniture in the catalog is related to St. Patricks day so. Who knows!? I hope they do have it. If you click on my name, my blog will show up (Its just about the big events in CP, I told them 2 go 2 u Mimo for the latest cheats) I posted about it. Thanks! Hmm, nice obeservation and theory! Mimo did know that the orange puffle wasnt in puffle round up yet, but its nice that you noticed! The drills are in the cave to dig for coins, but I do think your right, we may use them soon! Lol, if its not soon, what about if we use them for the adventure party? Do plant trees XD. Lol! Is there going to be a Saint Patrick's Day party? Who thinks the new game, Puffle Rescue is cool? I like it a lot! I made it to level 21. What is the highest level you reached? Maybe. Have they said anything about it? They usually do. I'm sorry I couldn't make it! I had a dentist appointment, had to visit my grandma who just had surgery, so...sorry! We should still set up a time to meet! Or...Have my own party!? Ello, fellow jello! (Yum, jello...)17 puffles?! Shh, can you keep a secret, I am very bad at taking care of my puffles! Anyways, I have only not met AA. Hopefully this year will be my lucky year! Hmm...yep, it is fun to eat potatoe chips on a snowy day in the waters of Antarctica, you know? Sorry, I dont think there is going to be one this year. it is fun to eat sandwiches while swimming on a rainy day in the arctic ocean. Mimo, I haven't been able to play up to today because of a bad storm with hurricane winds that left us with no power. The game or games are cool but tricky at some parts. Btw, will there be a St. Patrick's day party in CP? Nice new heading, Mo. I likes it. It could be that we'll have a surprise party. I know! It seems unlikely they'll have a surprise party seeing as its an annual event. Remember how we missed out on the water party last year? The pink puffle looks like a purple puffle! Hnwjanuary, the party isn't over. It takes place today on Saint Patrick's Day. WHY IS THERE NO ST PADDYS DAY PARTY! THERE AS ALWAYS BEEN ONE EVERY YEAR! Hey, is there not going to be a St. Patrick's Day party??? D: This is very dissapointing. There has been one ever since the first year; how can they suddenly stop it? Mimo, sorry I haven't been modding! Gtg, bye! Yeah, I wanna meet you, too Hnw! :( I am probably going to be able to make it to the party, spycomic. (But I also have homework) And, I have one question, has anyone ever noticed how there are 3 shades of green? It's really weird I think. I mean, why can't they have 3 shades of pink or something, lol. :) Ok, hopefully I will see you all at the party! Lol, I know it's really annoying when your puffles run away, right? Right after my membership expired, I forgot to feed my puffles and my orange one ran away! :( Oh well. I know, when will we be able to get the drill thing? I really want one, even though I already have a jackhammer. please put the cp snow forts time!!! srry i missed it :( i live in Ontario!